WELCOME TO YOUR NEW TRAINING FACILITY!! 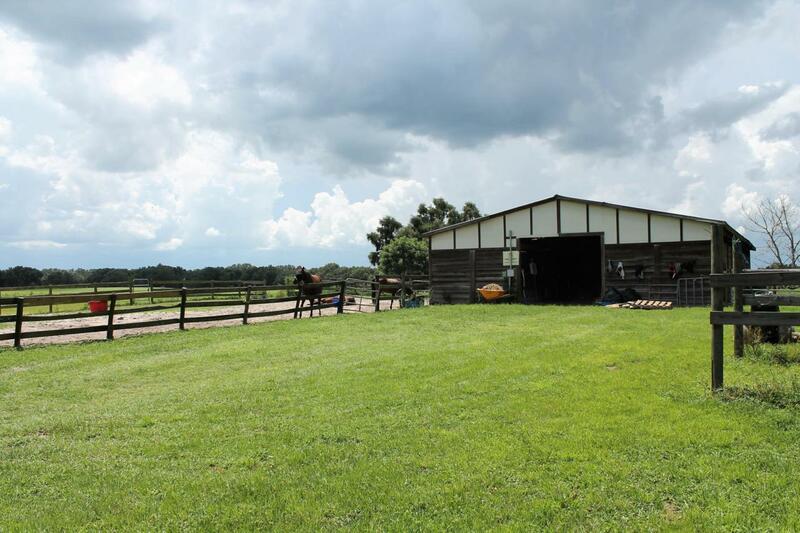 This 80-Acre Farm features 2 residents, a 5/8 Turf track, 14 paddocks, 2 wells, a center-aisle barn, 2 huge stall barns, and 1 large equipment barn. 50 stalls total!! The main residence is a 3/2 mobile home, with lovely appliances, move-in ready. The second property is also a 3/2 within an attached carport, currently used as a rental property. Located just 3 miles south of Morriston and only 25 minutes from Ocala. Unbelievable potential for horse trainers and investors alike! TRULY A MUST SEE! !